With its usage expanding dramatically since the last decade, internet has run out of usable space. Domain registration services were having a hard time finding meaningful, relevant and short domain names. In 2013, the average length of a new domain name was around 15 characters using several words. The release of gTLDs has made everyone's life easier for everyone connected with the World Wide Web. The ICANN which stands for Internet Corporation for Assigned Names and Numbers, the private corporation responsible for IP address space allocation and domain name system management has released gTLDs meaning generic top-level domain names. These names of internet addresses generically identify some specific domain class. For instance .com stands for commercial, .net which was originally aimed at internet service providers but is now used for many business purposes, .org for non-profit organizations, industry groups, and others, .gov for government agencies and .edu for educational institutions. There are few others too that are not frequently used and not associated with routine businesses. What do these new gTLDs mean for domain resellers? What are the opportunities it can create and the challenges it can pose to an average domain reseller? Let’s look at the opportunities first. It is the goal of every registry to create more value around their TLDs that can help them create a unique niche by adding value corresponds to higher pricing of the TLDs. The launch of generic TLDs can intensify competition. Your move must be to make sure these gTLDs are offered as a high-value business tool. This can help improve margins and boost profits. Depending on the uptake of the new gTLDs, you can pitch an expensive domain to your clients by selling them the idea of premium value of the gTLDs. Earlier, intense and proactive campaign used to work for domain resellers to get small and medium sized businesses on board without necessarily focusing sharply on TLDs. However, the introduction of generic TLDs can change the marketing scenario. These gTLDs offers organizations a very clear sense of identity. Domain resellers can use this feature to focus their campaigns on specific niches and create more meaningful pitches. The pool of available TLDs is diminishing with every passing year, making it difficult for business owners to find the kind of domain name they are looking for. This can result in using whatever best is available which might not be a great thing for any business. In the changed scenario with the availability of a string of new generic TLDs, you can offer them the exact TLD they need for their business provided if they are willing to shell out the right price. Offering your clients the newer, more relevant versions of their current domain strings may appear like an entrepreneurial brainwave stretched a bit far but, if you think about it in a practical manner, it can work. Large enterprises may definitely consider it convenient way of managing large portfolios. And since they have had a great experience doing business with you, they will pick your service again for buying current domain strings in new TLDs. 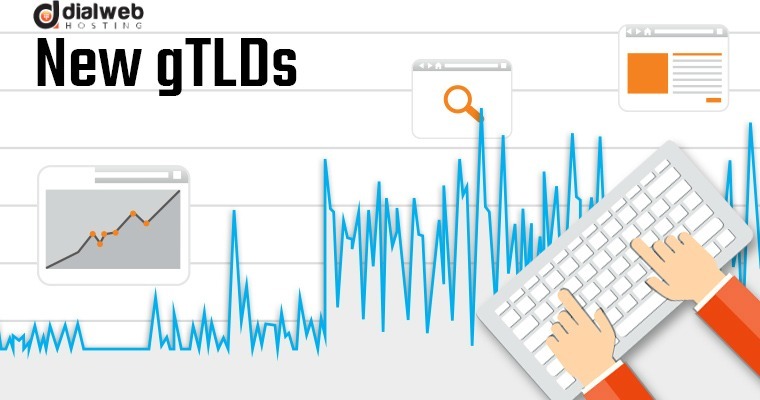 Now that we have looked at the potential opportunities that domain sellers can enjoy with gTLDs, let’s look at the challenges. Established businesses may resist changes in their key identity factor – their domain names. You may face a tough time helping them overcome their skepticism. Also, there is precious little being done to create a market which can lead to new gTLDs eating into to the volume of existing TLDs. Growth in domain volumes can only come from deliberate and sustained efforts by all concerned players to expand the market.